Black Canyon National Park Description. 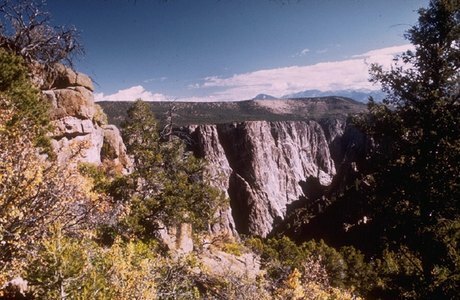 The Black Canyon of the Gunnison's unique and spectacular landscape was formed slowly by the action of water and rock scouring down through hard Proterozoic crystalline rock. No other canyon in North America combines the narrow opening, sheer walls, and startling depths offered by the Black Canyon of the Gunnison.